I want to thank Lane for joining us here at L&T, he ha’s been a resounding success. Our goal is to be an ongoing resource for those interested in libraries and transliteracy. We will be sharing information related to transliteracy (the new literacies, media literacy, digital literacy, 21st century literacies). If you are already interested in libraries and transliteracy we hope you’ll find useful information here. If you are not familiar with transliteracy we hope you will find the information you need to become as enthusiastic about the importance to libraries as we are. Over the past year we have seen it develop into something more. One of the goals for the new year is more substantial posts addressing some of the issues that have been raised and Lane has us off to a great start. What is and Why Transliteracy? What appeals to me about transliteracy is that it is a unifying concept of literacy that encompasses all variations of literacy and does not value one form of literacy above the others. New types of texts and new types of literacies have been emerging over a period of more than 50 years. Many closely interrelated terms describe the new set of competencies required for success in contemporary society. These include terms like information literacy, media literacy, media education, visual literacy, news literacy,health media literacy, and digital literacy, among others. Each term is associated with a particular body of scholarship, practice and intellectual heritage, with some ideas stretching back to the middle of the 20th century and other ideas emerging in the past couple of years. These terms reflect both the disciplinary backgrounds of the stakeholders and the wide scope of the knowledge and skills involved. These concepts must not be treated as competitors. Let me post a modification of my response on her blog – What sort of proof do you want? (real question, not snark) Transliteracy is a new concept in general and we are working to apply it and I’m ok with it being a work in progress (the blog is less than a year old). I understand that many people aren’t. They want clear rules, definitions guidelines, and measures and pie charts, but I’m not sure I am able to help them at this point. I’m ok with that too. Not in a mean way but in a I-can’t-do-everything-at-once sort of way. We are reaching people and we are making them think about the needs of patrons in the 21st century and that is making a difference in the lives of our patrons or I wouldn’t be spending so much of my own time on it. and the digital divide and the vast number of organizations and institution that are talking about these issues and looking for solutions and never mention libraries. I think about the professional organizations both inside and outside of libraries creating standards for all the different literacies, they are all so disconnected but they are working towards a common goal. For me transliteracy is a way to bring them all together under one roof without favoring one over the other. Transliteracy lecture by Sue Thomas from IOCT on Vimeo. I can’t find anything on Libraries and Transliteracy that makes a compelling case for why the word should matter to librarians or what it means to you all aside from the need for libraries to be active in working with patrons in the use of new technologies (which is right, good, and almost universally agreed-upon without the need for the word ‘transliteracy’). I can’t speak for everyone at Libraries and Transliteracy, but I can at least give a justification for why I am interested in transliteracy and why I think it is an important concept for librarians. I’ve been thinking a lot about Matt Richtel’s recent New York Times article, “Growing Up Digital, Wired for Distraction.” This article has generated a lot of buzz and some fruitful conversations. However, in looking at some of the responses to Richtel’s piece, I have come to recognize an interesting form of binarism pervading certain attitudes towards the future of education in the digital age. Whether past vs. future, digital vs. analog, book vs. ebook, or focus vs. distraction, the binary standpoint manifests itself in many ways, but the message is usually the same: we are in the midst of a paradigm shift between incommensurable literacies, outmoded pedagogical methods, or technological biases. For my first post here at L&T, I’d like to say something about the role of transliteracy in a world of supposed paradigm shifts. Please Welcome Our Newest Contributor – Lane Wilkinson. Lane has been writing some great posts about transliteracy at his blog Sense and Reference so we are thrilled to welcome him on board. Lane is a librarian at the University of Tennessee at Chattanooga where he focuses on library instruction and reference services. Originally a doctoral candidate in philosophy, he spent five years as an adjunct philosophy instructor at various metro-Detroit universities. Following his interest in the philosophy of information, Lane made the move to full time librarianship in 2009. His research interests include the philosophy of information, information literacy, meta-ethics, and epistemology. 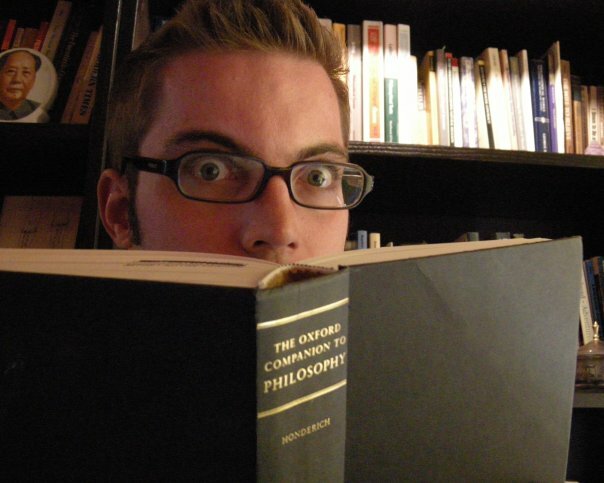 He writes about libraries, information, and philosophy at his blog, http://senseandref.blogspot.com. I can’t tell you how I excited I get when I see MLS students including discussions of transliteracy in their papers, Micah even went so far as to post his on his blog and slideshare. Thank you Micah! The Edublog Awards is a community based incentive started in 2005 in response to community concerns relating to how schools, districts and educational institutions were blocking access of learner and teacher blog sites for educational purposes. The best aspects include that it creates a fabulous resource for educators to use for ideas on how social media is used in different contexts, with a range of different learners. It introduces us all to new sites that we might not have found if not for the awards process.